The J1 season for 2012 has come to an end. Omiya Ardija finished their season with a rather tame but essentially unimportant 0-0 draw away to Shimizu S-Pulse. The goalless draw continued Ardija's unbeaten run, which now stretches to 11 games in the league. A considerable effort which guaranteed Omiya's presence in next season's J1 league. With Kashima and Jubilo both winning, there was no way the Squirrels could finish any higher than 14th, because of our vastly inferior goal difference. 14th place for Ardija fans feels ever so familiar, yet this season we knew the chance of a better finish had evaporated fast under the terrible start to the season with the previous coach, Jun Suzuki. 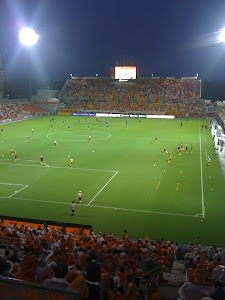 The important point for Omiya Ardija is where do we go from here? Twitter is already awash with rumours of players leaving, and the names of those players fans would dearly love to leave. The key at stake here is surely the core of the team which has kept us in J1 and which coach Verdenik has worked hard to get into a unit that just might be able to play attractive football, win games and not concede too many goals. Well, that would be the plan ( and the dream!) but even before the season ended, it was widely believed that Novakovic was unhappy plying his trade in Japan and was looking for a way back to Europe. His end of season form certainly won't have hurt his chances to do just that. However it would disappoint Squirrels fans who have rightly appreciated his goalscoring efforts, and his hard work in leading the front line. Currently Zlatan is back in Slovenia recovering from the injury he received during the last home game to Jubilo Iwata. We must hope he comes back to Ardija. His touch and technique, as well as his scoring boots would be sorely missed, if he chose to remain in Europe. Next to consider is the coach who brought the Slovenian duo to Ardija and who found the system to fit them into the rest of Ardija's squad. I have heard nothing to suggest that Verdenik wishes to quit now, and really hope he does not jump ship just yet. He has found a formula the players are responding well to. Kikuchi and Komano look well matched, and players who previously failed to delight, have started to shine. I'm thinking of Watanabe, Watabe, Cho Yong-Cheol and Shimohira. Let's say Zlatan stays, Novakovic and Higashi leave. With a steady unit that saw us through the last part of the season unbeaten, transfer targets would be easy to focus on. If it were all that easy! I have no idea of how contracts lie with other players and how they feel about where they want to play next season. Another rumour doing the rounds, is that Rafael who left Ardija earlier in the season to return to Brazil, will return after not fitting in at Botafogo. I am not sure how much seriousness I can yet take this rumour and further I am not at all certain it would be a wise move for either club or player alike. For now, all we can do is concentrate on our next game which is in the Emperor's Cup at home to Kawasaki Frontale on Saturday 15th December and look to stay unbeaten and give Squirrels' fans the hopes of an exciting cup run.